Why Do You Need RV Rental Insurance? As an RV owner, I often think that it’s a shame my unit doesn’t get used more than it really does. This is probably one of the reasons why you want to rent your RV, aside from the fact that it helps offset the costs of owning an RV. There are a number of factors and legalities to understand in the rental industry. First, RV rental is governed in all states by the same rules and regulations that the auto rental industry has to adhere to. Among these rules and regulations, insurance becomes an integral part of protecting yourself and your valuable property. 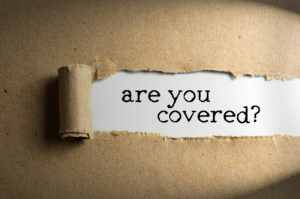 Your personal insurance on your RV specifically EXCLUDES coverage in a rental situation. Therefore, if a claim arises out of a rental, your personal insurance will not take any part in assisting you in the fixing of your unit, nor will they assist in helping you recover your loss from any third party. Certificates of Insurance obtained by the renter on their personal insurance does NOT guarantee that their insurance carrier will cover your loss. Unlike auto rental, credit cards and travel insurance plans will not offer the same coverage protections for an RV rental. In some states, YOUR insurance is primary, which means that if you don’t have proper protection on your unit, YOU may be responsible. Obtaining Commercial Auto insurance for the rental concerns of your RV can be intimidating. Understanding what you need and why will help you navigate the path to protection and ultimately give you peace of mind. RV Rental Insurance is a very specialized coverage. Triad Insurance Management & Services Agency has one of the few RV Rental programs in the U.S. and I am the underwriter for this program. I am also an avid RVer, so I understand both worlds. Online reservation systems would not always be the party that purchases or provides insurance for you. Depending upon the reservation system, they may provide some coverage to your unit for your protection, with many selling products to the renter to cover them only during the rental period. What happens if you rent your RV outside of the reservation system? Is it covered? Triad’s program can only provide insurance to businesses. Why businesses only? Because running your rental as a business will protect your personal assets. From an underwriting perspective, a business will provide structure to your rental process by having a proper rental agreement, walk through procedures, and proper documentation in the event of a claim. Your unit will be insured regardless of it’s rental status and yes, you can still use your RV (just as your own customer). Let’s talk costs. RV Rental insurance will be more expensive than your personal insurance policy. This is because there are known drivers being rated on your personal policy, whereas, you and we do not know anything about the driving habits of the person(s) you are renting to. Insurance for a travel trailer is usually much less than a motorized unit. Why? With towables, the liability portion of your coverage is mostly provided by the tow vehicle. Therefore, while liability is afforded to your towable, it is far less likely to be a claim issue. Towable values are generally lower in value which drives this pricing as well and it is also dependent upon the area you’re in. Motorized units generate more premium because the liability risk is greater. How do you pay for RV Rental Insurance? Like any business, you incorporate your overhead costs into your rental fee structure. It is illegal to charge your customer for your insurance as a separate, itemized fee, but you can build it into your daily rate. Triad’s program does not require you to sell any counter products to your customer. For more information on how to get a quote, contact us.